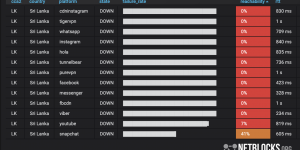 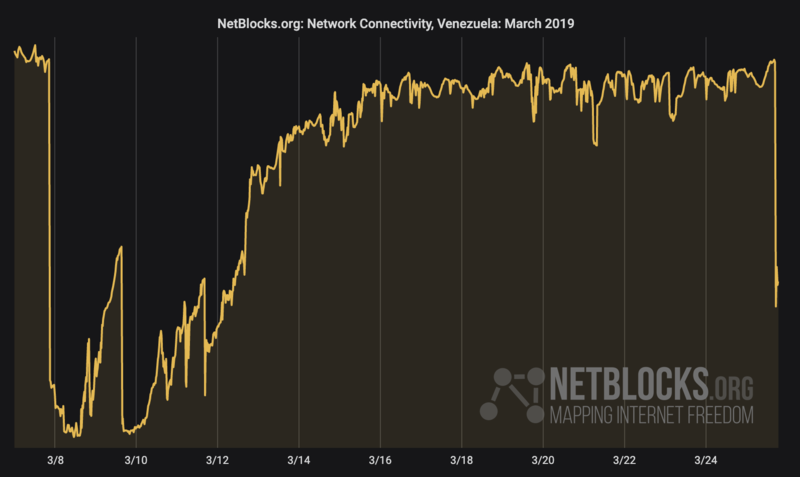 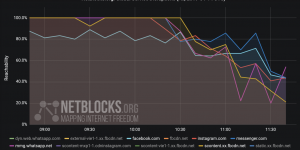 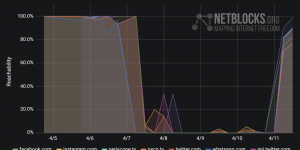 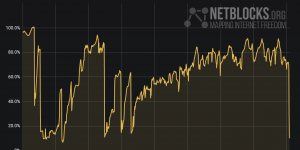 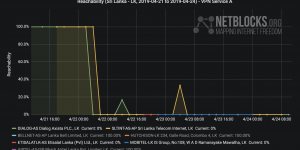 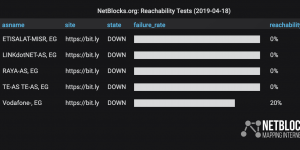 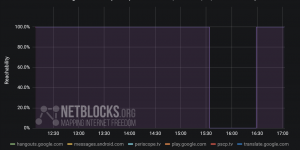 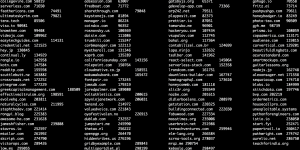 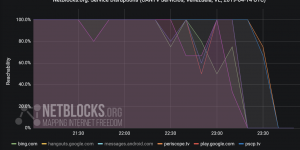 The NetBlocks internet observatory has identified a new widespread power outage across Venezuela starting shortly after 5:00 PM UTC (1:00 PM VET) Monday 25 March 2019, cover most states and covering capital Caracas, sending 57% of the country’s telecommunications infrastructure offline. 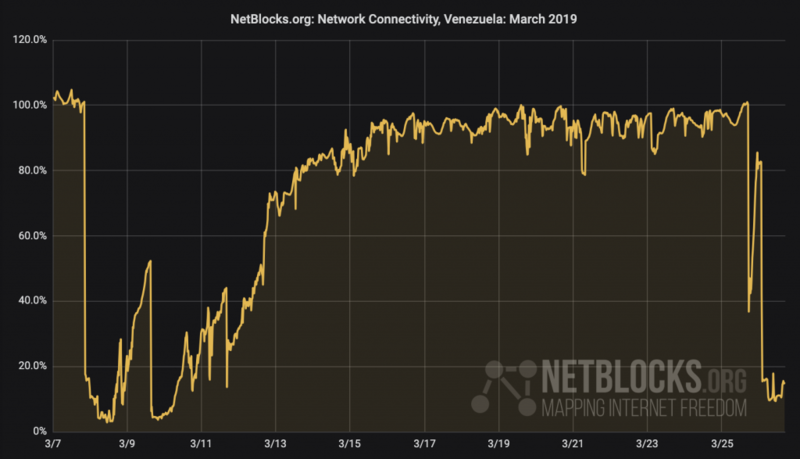 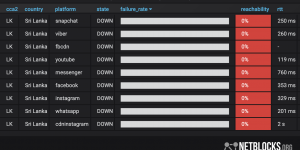 Venezuela has been recovering from a series of outages of unprecedented magnitude since 7 March knocked out Venezuela’s internet connectivity utilities offline. 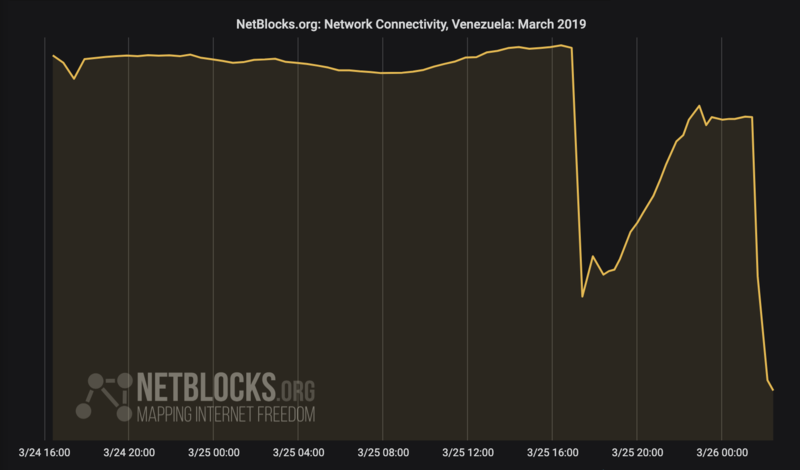 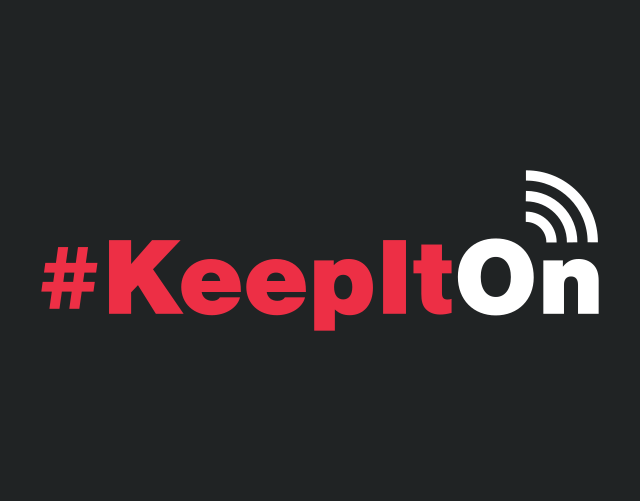 The new disruption is on a similar scale to the first two disruptions earlier in the month.